If you or a family member has been injured in a car accident, do not be in a rush to settle your claim with the at-fault driver’s insurance company. Although you may have medical bills that need to be paid or the insurance adjuster has made you a tempting offer, if you take the time and approach the settlement thoughtfully you will likely maximize your compensation. When you are hurt in a motor vehicle accident, compensation is determined by the nature of your injury or injuries, the medical treatment you receive, the recovery period, and whether you have residual or permanent pain or disability to contend with. For most injuries, it is impossible to know early on how things will play out. You may feel okay in the days following an accident only to discover there is a lingering issue that requires further medical attention. Certainly some injuries may seem like they are on the mend and your pain is subsiding, but you may reach a plateau in improvement weeks or months following an injury and only then realize that you may be facing long term disability or pain caused by the injury. Sometimes injuries limit our ability to participate in things we once enjoyed or cause emotional distress. Pain and suffering resulting from your injury are commensurable as medical costs and lost wages. Taking the time to access how the injury has impacted such things as your ability to attend special events, continue with school, or if it has negatively impacted your relationship with your spouse can all be factored into the overall picture as can feelings of stress, anxiety, depression and embarrassment caused by the physical injuries. If you settle your insurance claim too early, your compensation may be based on incomplete information. Once you settle, there is no going back. A wait and see approach while following the recommended course of treatment will allow you to more confidently settle a claim. 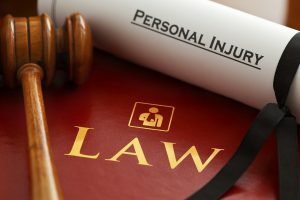 You may also want to consider discussing your case with a personal injury attorney to help you pursue the maximum compensation available based on your unique circumstances, which often translates into higher award even when factoring in attorneys’ fees. If you or a family member has been injured in an Iowa car accident, contact the Des Moines personal injury law offices of Stoltze & Stoltze PLC for more information at 515-244-1473.